The new flagship of the Bavarian declassified on patent images. 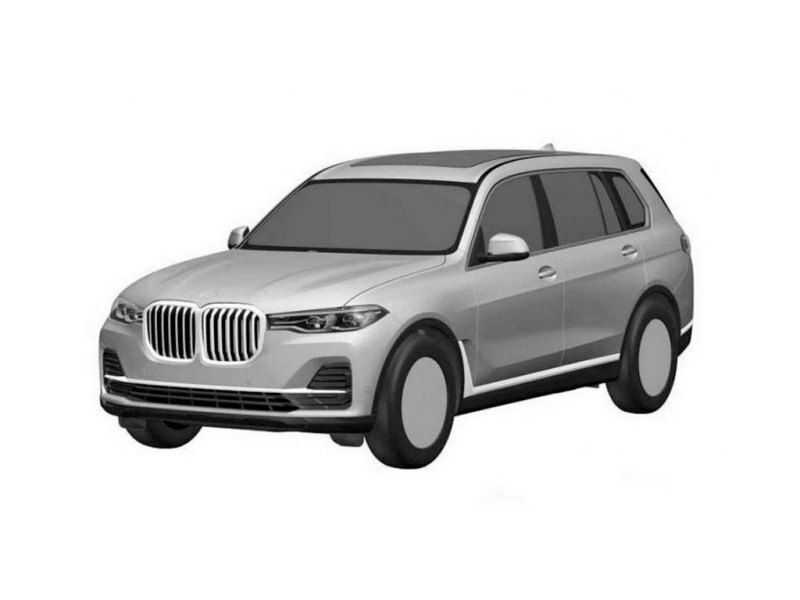 It is reported that the BMW X7 is made on the modular architecture of the CLAR, as well as the new generation of the X5 SUV, but the design of our hero is made in a more relaxed style. The car debuts with a wide range of engines: it will be six- and eight-cylinder petrol and diesel power units 3.0-4.4 liters by volume. In 2019, the development of a hybrid version of the car, created according to the technology of the plug-in hybrid, is planned, plus there will be a 'hot' version of the BMW X7 M, where will appear a V12 petrol turbo. BMW X7 will debut at the end of this year, and the event is rumored to be held in November in Los Angeles. The car will be assembled at a company in Spartanburg, USA.